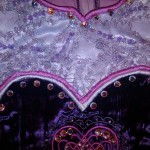 Made by Irish Dance Creations. 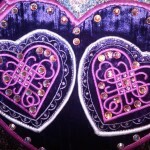 Dark purple velvet with light purple sleeves. White and raspberry embroidery. Silver in panels is fishscale sequins. Sleeves are embellished with tiny pearls and sequins. Can easily add a ruffle or two to the bottom of the dress or wear a pettiskirt to add length. 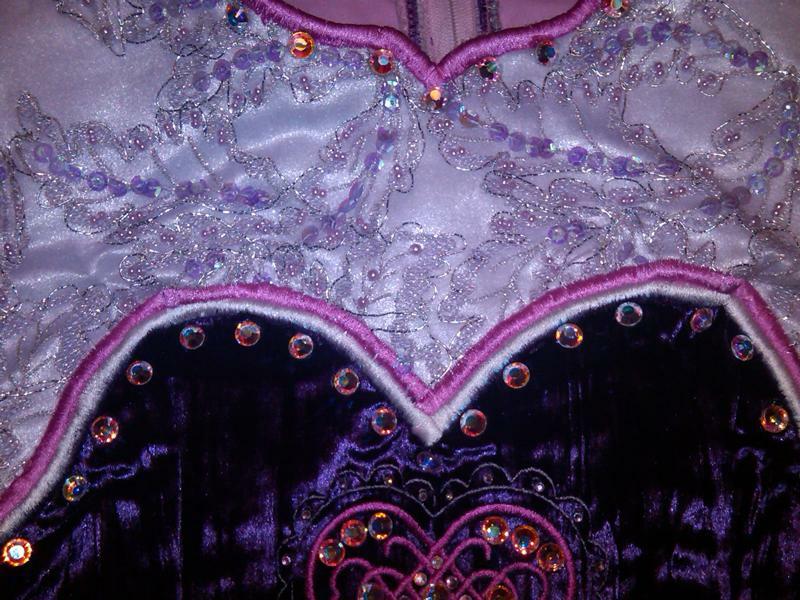 (We used a purple pettiskirt when the dress go too short) Tons of AB crystals. 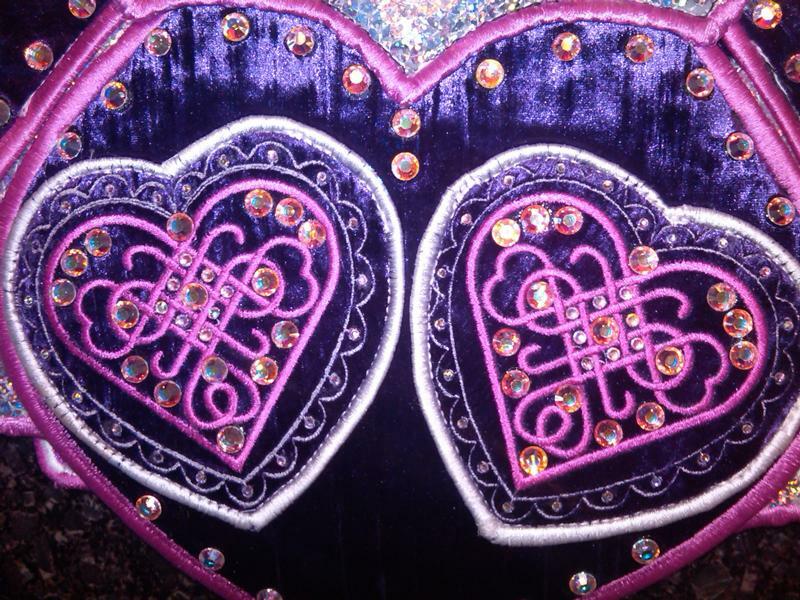 Cape has two gorgeous purple crystal encrusted brooches. Pink crystal heart number clip. Silver lame kick pants also included. 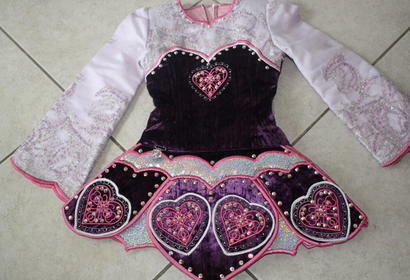 Local pick up or pick up at a feis we are attending in the Southern Region, USA also available. More photos available on request. Measurements (in inches) taken with the dress laying flat. Asking Price: $US1000. Shipping costs not included. Will accept returns and refund dress cost, buyer to pay all shipping costs.